Katie Lenegan is an artist based in the Cotswolds, Gloucestershire. She studied at the Manchester School of Art, MMU and graduated with a B.A.Hons Degree in Fine Art and later a PGCE in Further Education. A member of the Manchester Academy of Fine Arts, her work is held in both private and corporate collections. Her current work is in response to the Wychwood Wild Gardens. Light and nature are a main theme and fascination for her work.She draws inspiration from the natural environment and her current work is in response to the Wild Gardens, near to where she lives.The main source of inspiration for this work is the pond, it gives light to the wood and the illuminating reflections display patterns, rhythms, and sounds that are drawn through the water. To capture this state of perpetual change, she uses a combination of media. 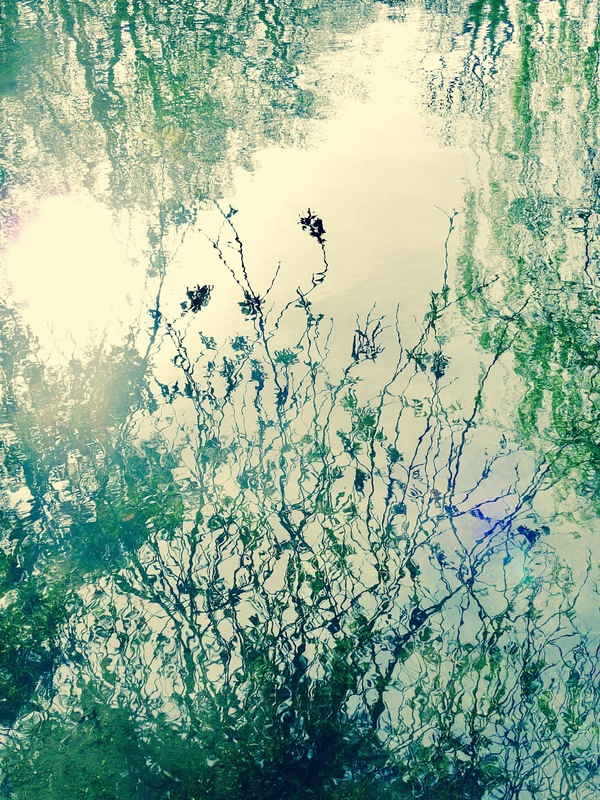 Fleeting glimpses of detail, tree branches distorted in the water and changes of light are all combined to capture a sense of time and place.